Data centers are growing, fueled by the proliferation of media, virtualization and the need for more security and storage. This creates a high demand for 40 Gbps+ fiber links. 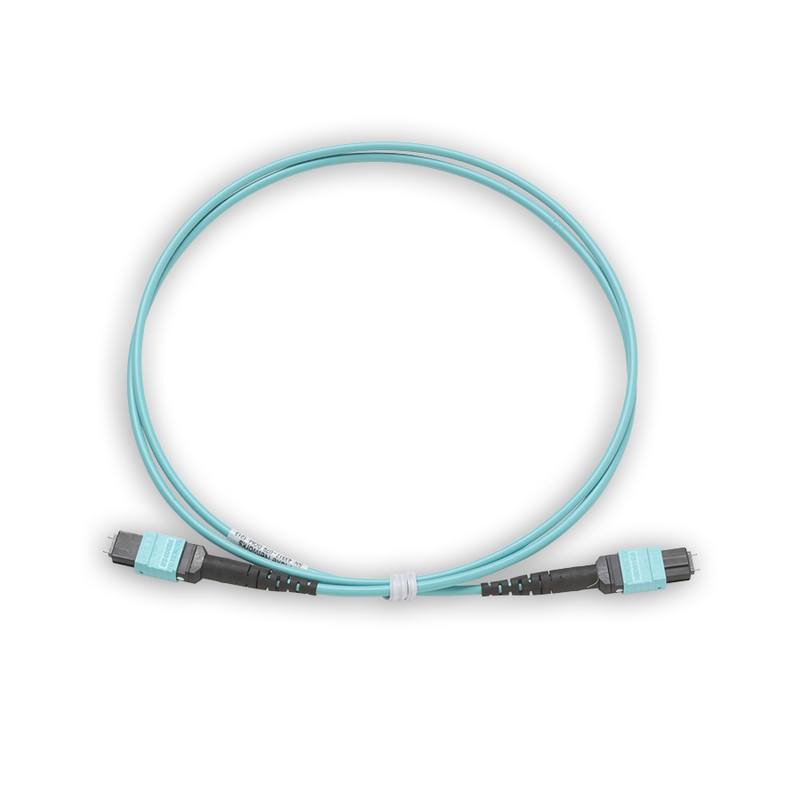 Whether it is using 10 Gbps pre-terminated fiber trunks or planning for next-generation 40/100 Gbps performance, data centers are standardizing on Multi-fiber Push-on (MPO) connector solutions. 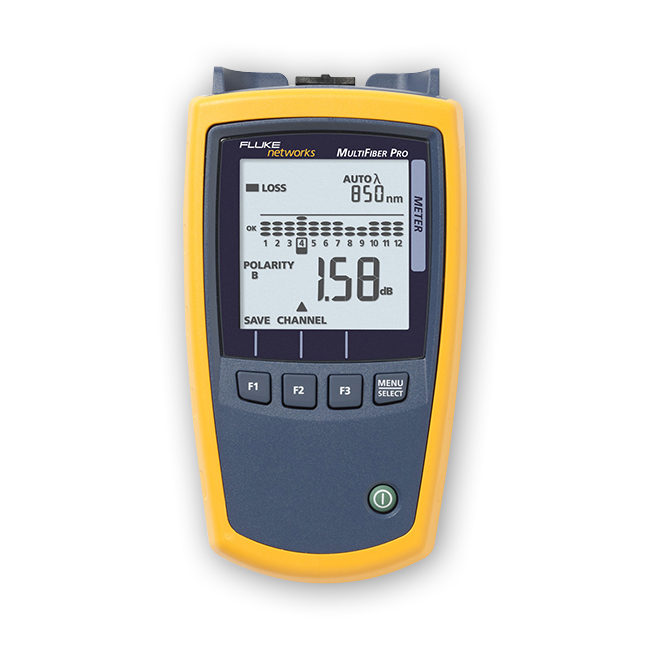 “SCAN ALL” Function: Scan All function in the MultiFiber Pro Power Meter automatically scans and tests all 12 fibers in MPO connectors taking just 6 seconds to complete all loss or power measurements. This feature automates the testing of MPO terminated fibers and eliminates the time consuming and manual process of moving the tester from fiber to fiber while using fan-out cords. continuous connection from the link’s transmitter to the link’s receiver. 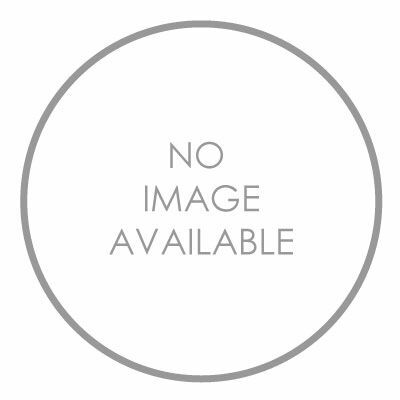 For array connectors, TIA-568-C.0 defines three methods to accomplish this. 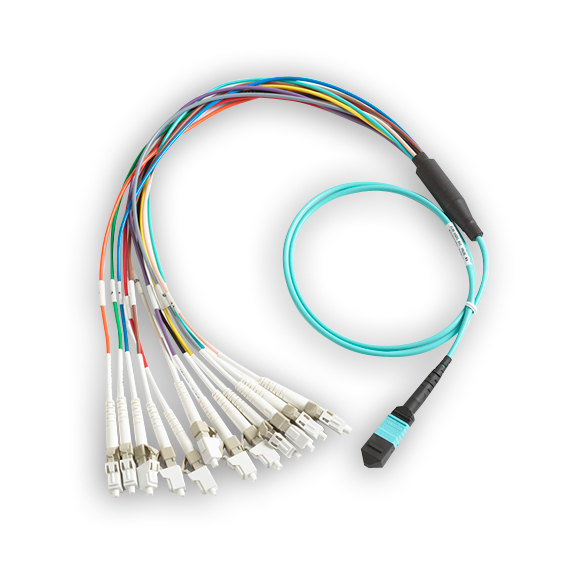 The polarity measurement of MultiFiber Pro allows the user to test individual patch cords, permanent links, and channels for correct polarity. On-board MPO connector: The MPO connector on both the OPM and OLS eliminates the use of costly & complicated fan-out cords to test MPO fiber trunks. Simple User Interface: Simplifies the task of simultaneously presenting polarity, power, and loss results for 12 fibers. The power meter enables the users to easily comprehend the measurement results of 12 fibers simultaneously. The light source identifies each fiber within the MPO connector being tested. Any individual measurements that fail the test limit is identified to allow root-cause analysis. 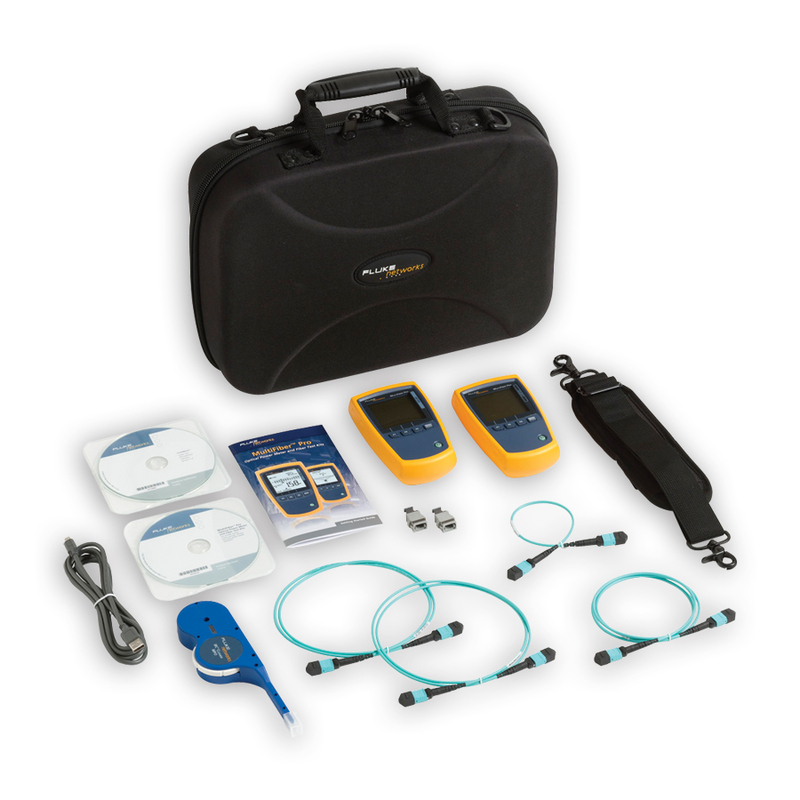 This powerful yet straightforward test set enables everyone to become a fiber testing expert increasing efficiency in testing data center projects. Select an Individual Fiber: Drilling down to a single fiber during testing and troubleshooting is always a challenge in data centers. 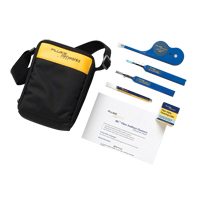 MuliFiber Pro can troubleshoot a single fiber within an MPO trunk to provide a single fiber test result. This increases MPO connector verification and troubleshooting flexibility with more precise reporting. - Optical connector MPO interface for 12-fiber, unpinned plugs. Compatible with 62.5 μm, 50 μm, and singlemode fibers. Connector has a self-closing, protective cover. 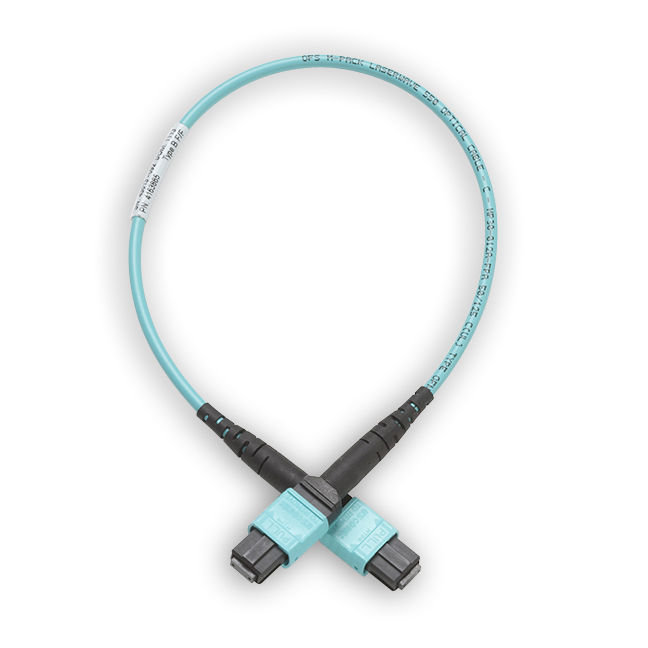 - Encircled flux Meets ANSI/TIA-526-14-B, ISO/IEC 14763-3, and IEC 61280-4-1 for 50/125 μm at the source’s optical connector. 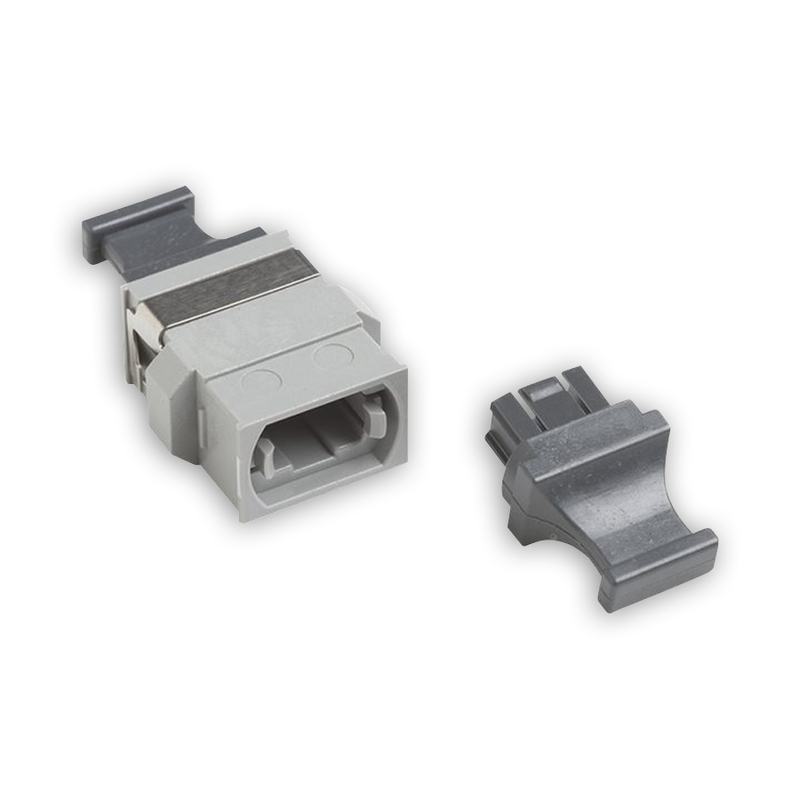 - Optical connector MPO interface for 12-fiber, unpinned plugs. Compatible with 62.5 μm and 50 μm.